Contact Chris Eames to get your show on the road. Expertly. 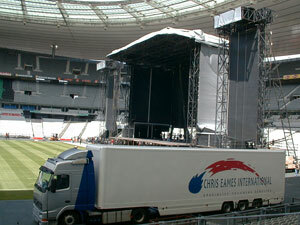 Want contact with one of the best, most experienced specialist of entertainment transport? Call Chris Eames International. We get your Show on the road! For a free, no-obligation quote - or more information on any of our services - please contact us.